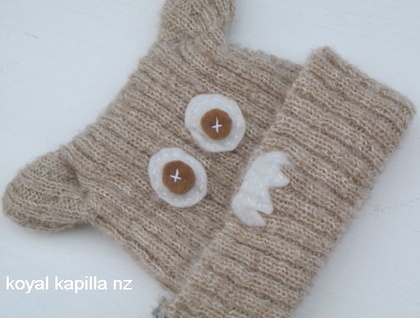 Introducing my new range of knitted childrens beanies that are fun & quarky. 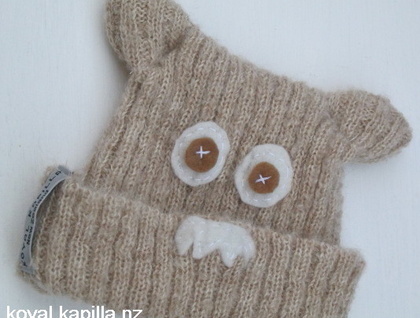 This one is called "Mr Moosh" knitted beanie in merino & mohair blend with felted face. Kids like to wear this because of the face and little piggie ears. Very Funky. approx size - from 6 months up to 2 years depending on the child.